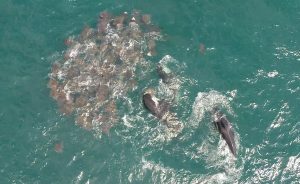 If you are one of those that thinks that Cabo San Lucas is a dead place once the whale watching season is over…it will be my aim to make you reconsider this. In the “whale watching off season” there is plenty to see and to do in Baja California: how about a day trip to Espiritu Santo island to swim with sea lions and pay visit to some of the most beautiful beaches of the region? Could be, but today I would like to report of something more unusual, something that doesn’t happen everyday, something special: you may have heard of Mobulas Rays, they belong to the family of Myliobatedae and are very similar to the more famous Manta Rays, they just differ in the size as Mobulas are smaler. 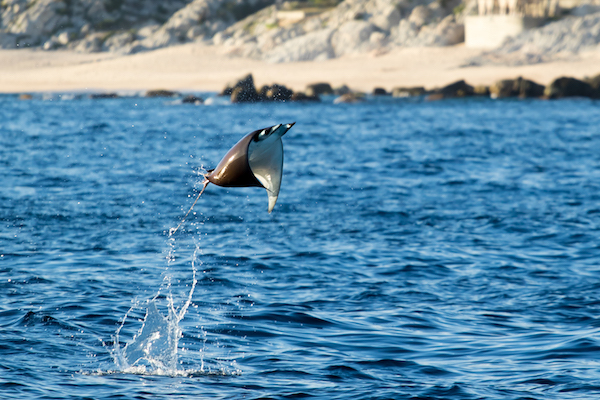 “Devil ray” or “Flying ray” are two of the more common names to refer to this amazing animal which has a natural tendency to breach, a bit like humpback whales do, just not so spectacular. Nobody really knows the why of such a behavior, could be to get rid of some parasites attached to their skin, just for fun, to escape a predator or eventually could be part of their courtship behavior in mating season. 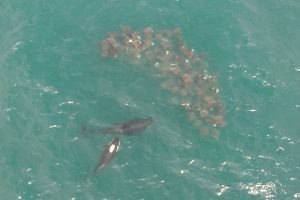 As for most of the animals that live under the seas, very little is known about this ray, even National Geographic came to Baja Califonia to report about Mobulas and learn more about them.What we do know and witnessed the day we went out looking for them, is that for sure Mobulas are among the favorite meals for Orcas (a.k.a. Killer Whales). 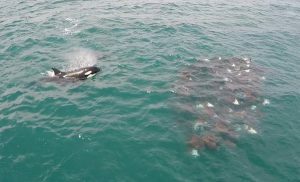 A truly terrifying spectacle unveiled in front of us, a pod of 8 Killer Whales formed by 1 large alpha male and 7 young females, were able to isolate a smaller group of Mobulas that were fighting for survival. The action went on for about 2 hours before the Orcas had their bellies full and took of and disappeared into the wide open Ocean. This is the second sighting of Orcas within 10 days, last week they were out for hunting 2 young Humpback Whales that were left behind and that we found cruising, very close to shore where it is easier to seek protection from attacks, on our way to Espiritu Santo island. Are you feeling the thrill? Still thinking Baja California Sur is boring? Find a reputable tour operator and don’t hesitate anylonger the adventures are out there! Please visit our website: www.cabotrek.com for more information about our tours.